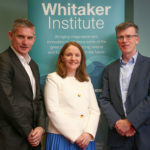 Michael Moroney is a College Lecturer in the Discipline of Management in the JE Cairnes School of Business and Economics in NUI Galway, where he lectures in the areas of strategy, management, organisation theory and research methods. He has also been extensively involved in University governance and in strategic management issues, facilitating and co-authoring NUI Galways first strategic plan 1996-2006. From 1996-2000, he was Acting Head of the department, and from 2000-03 and 2010-11 he was head of the Strategy group. In 2001, he introduced the MSc (Corporate Strategy and People Management) of which he was the first Academic Director in the period to 2006. He was Academic Director of the Executive MBA in 2009. In 2012, Michael Moroney re-assumed Academic Directorship of the MSc in Strategy, Innovation and People Management (SIPM). In 2014, he successfully applied for and obtained accreditation/approval for the MSc in SIPM at the advanced standards level (the highest achievable). He continues to be involved extensively in committees, projects and reviews at Discipline, School and University levels. Michael Moroney has a B. Comm. (first-class honours, 2nd place in class) degree from UCD, an MBA from Stanford University, California, USA, is a Fellow of the Chartered Institute of Management Accountants (CIMA) and a Chartered Global Management Accountant (CGMA), in addition to holding qualifications from the Institute of Public Administration. He has received several academic scholarships and prizes. These include the ITT Fellowship for Ireland (1981-83) to undertake post-graduate study in the US, a post-graduate scholarship and two top of class subject prizes in his B. Comm. degree, and placing 6th worldwide in the CIMA final examinations. He is working towards a Ph.D in strategy. Prior to entering academic life in 1995, Michael Moroney had 20 years managerial experience in a variety of work environments. He spent seven years in executive and policy-making roles in the Civil Service in the Departments of Education, Economic Planning and Development and Finance. Mike Moroney has also worked for six years for Hewlett-Packard in California, USA and in the south of England. During this time, he held a variety of management positions in finance and administration. From 1989 to 1995, Mike Moroney worked in investment anlaysis with NCB Stockbrokers and Goodbody Stockbrokers, where he was Head of Equity Research and a profit centre manager for Equities. He has published extensive investment research on asset allocation and on most companies and sectors on the Irish Stock Market, in addition to participating in corporate finance projects. Michael Moroney was voted number one Leading Industrials Analyst in the 1992 Finance Survey of Stockbrokers, while the research team that he managed was voted number one for Overall and Ancillary Equity Research in the 1993 survey. Michael Moroneys academic career has included teaching in Bristol University and on the M.Sc. in Investment and Treasury in DCU, in addition to his role in NUI, Galway. Michael Moroneys academic research interests cover corporate-level strategy, strategy evaluation, business models and strategy in the public sector. His published research includes refereed journal publications, conference papers, award-winning case studies and book chapters. Moroney, M. P. J. (2014) "CRH plc: Strategy-driven Achievement", Irish Journal of Management, Vol. 33, No. 1, pp. 91-117. Moroney, M. (2014), "CRH plc: Dimensions of Successful Corporate Strategy " in Johnson, G., Whittington, R., Scholes, K., Angwin, D. and Regnér, P. Exploring Strategy (10th Edn. ), Harlow, Essex, Pearson Education Limited, pp. 639-646. (2003) Industrial Clusters: The Role of Organisations and Institutions. SEGRA Conference - Innovation in Europe: Dynamics, Institutions and Values Roskilde University Denmark. (2002) Atlantic Technology Corridor: Dynamics of Cluster Development in Ireland. The Irish Academy of Management Conference Waterford, Ireland.